Using online media to compile a digital rendering, Wayne has arranged various chat windows displaying his friends to illustrate how digital media has effected social interaction. In an age defined by technological advancements in all media, the art of socialization has become primarily web-based. 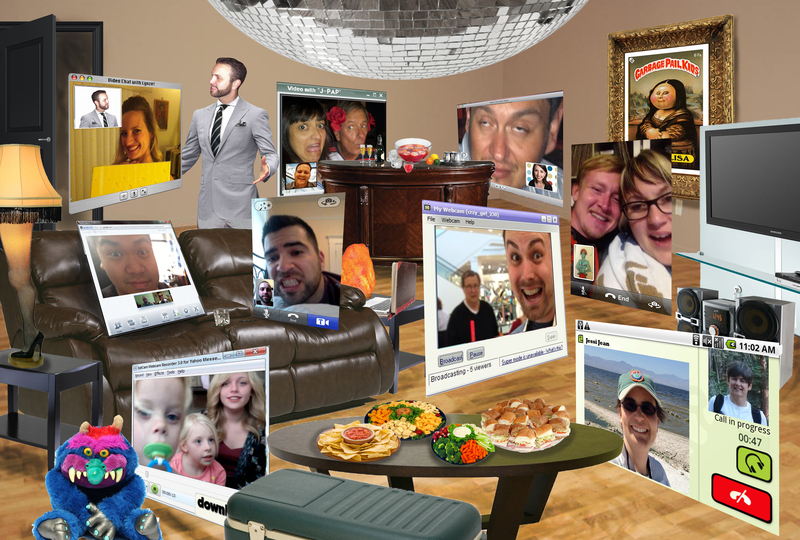 This digital rendering is made entirely from online screen captures of his friends and family, along with digital furniture photos downloaded from eBay and Amazon.com. The idea came to Wayne at the precise moment he realized that he had not physically come into contact with any of his loved ones, but was fully aware of their current dealings. Although there is a luxury in the convenience of web based communications, the technology should never replace true social interaction. Nothing can replace a warm hug from someone you love.